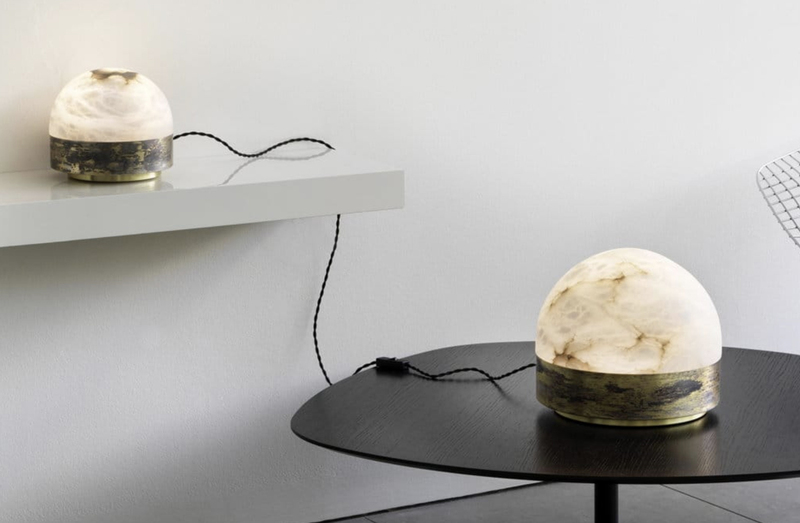 Table lamp with base in oxidized silvered brass metal, shade in honed alabaster. Two sizes available. Honed alabaster, oxidized silvered brass.